Completely dedicated to convenience, our customers, and our communities. That's Speedway. When will the Speedy Reward points post to my account? Every time you begin your shopping here, you can earn Speedy Reward points. You simply click on a merchant's listing and you'll earn Speedy Reward points for the purchases you make during that session. Can I go directly to a merchant's web site? Or do I always have to start here? 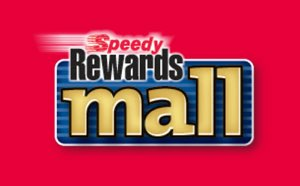 In order to receive Speedy Rewards points, you must begin your online shopping experience at www.speedyrewardsmall.com every time. It's the only way we can track your purchases. I made a purchase outside the Speedy Rewards Mall. 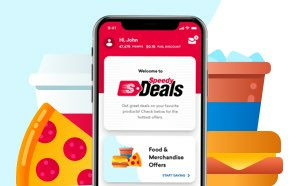 Will I still get Speedy Rewards points? In order for your purchase to be eligible for points you must start your online shopping at www.speedyrewardsmall.com. Unfortunately, purchases made without going through the mall are not eligible for points. Online orders need to be tracked to your Speedy Rewards account, and this happens automatically when you log in at www.speedyrewardsmall.com. Merchants will not fund loyalty shopping rewards if a transaction cannot be tracked back to www.speedyrewardsmall.com. Do I get Speedy Reward points every time I shop, or just the first time? You get credit every time you shop, when you start your shopping at www.speedyrewardsmall.com. Do I get Speedy Reward points for anything I buy? Some merchants may not offer points for all of their products and services. You can get specific details on the information page for each merchant. To find the merchant information page for a merchant, click on the "more info" link on any shopping category page. What happens to the Speedy Reward points I received if I have to return a purchase? The original Speedy Reward points posted to your account for that purchase will be removed. There seems to be a discrepancy between the Speedy Reward points I received and what I thought I would receive. What do I do? How do you know when I've made a purchase from a supporting merchant? We keep track of who you are by writing a "cookie" to your computer. Cookies are completely safe and do not contain any of your personal information. We pass an identification number to the merchant so they can tell us about your purchase and how many Speedy Reward points you have earned. Does the shopping area access my personal information? No. We only keep track of your User ID and where you shop, so we can properly credit your account. Do I need a coupon code to take advantage of special offers? In some cases you do. The coupon code will be given to you along with the special offer. Note that if you go to other sites online to try to find coupon codes and use those, you may not be eligible for points through this program. How do I know how many Speedy Reward points I will receive from each purchase I make? You will earn a different amount from each merchant, depending on what you buy at that merchant's site. We show you an estimated range. View the merchant's information page for specific details. We do not guarantee a specific amount. The amount displayed in the mall is an estimate. What does it mean if it shows a reward range? Rewards vary depending on the products you purchase from that merchant. See the merchant's information page for more details. You can view the merchant's information page by clicking on the "more info" link on any product category page. How can I ensure I earn points for shopping with AdBlock or AdBlock Plus installed? 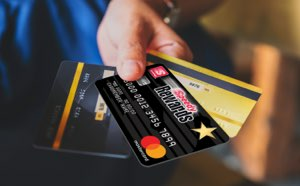 Members with AdBlock or AdBlock Plus installed on their computers may experience issues receiving their points for purchases made through the Speedy Rewards Mall. Chrome, Safari, and Firefox Users: In order to ensure that you are properly credited with points for every online purchase made through the Speedy Rewards Mall, please add or subscribe to the Speedy Rewards filter list. This will allow proper tracking to affiliate network sites. To subscribe: copy and paste the below URL into a new browser window.